This Post has already been read 1885 times. 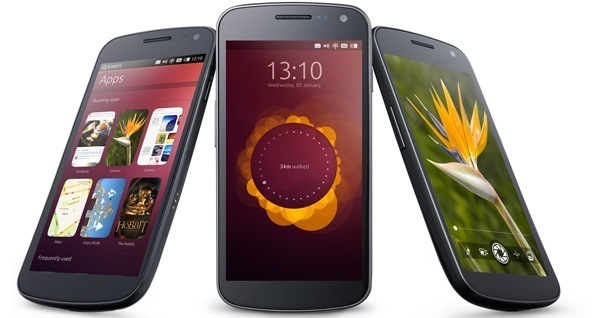 Canonical has unveiled the mobile version of their Linux-based Ubuntu operating system. Ubuntu for phones uses the same basic kernel and drivers as Android but has a brand new UI and navigation. For starters, Ubuntu makes heavy use of gestures for navigation around. Each of the four comers of the screen can be used to perform a gesture. A short swipe from the left shows your favorite apps, a long swipe takes you to all your apps. A swipe from the right takes you to your last used app. Swipe from the bottom shows you the menu controls for the app you’re in and a swipe down from the top shows your notifications and messages. Ubuntu places heavy emphasis on HTML5 web apps and gives them high priority, wherein they can show you notifications just like native apps. If you want an even better experience, you can also use the native apps written specifically for Ubuntu. Although it is based on the Android kernel, Ubuntu does not use the Dalvik Virtual Machine that Android does so apps are incompatible between two. One the plus side, the lack of virtual machine and ability to run apps natively means the performance is likely going to be even better compared to Android. As with the desktop version of Ubuntu, search has been given high priority. You can search by swiping down from the top of the screen and as you type the relevant content appears on the screen, which could be content stored on the device or even available online from various sources, such as Wikipedia, for example. Canonical has also reinvented lockscreen on Ubuntu for phones. They like to call it the welcome screen instead because all your side gestures are available from here, so there is no intermediate unlock gesture that you have to perform. The welcome screen also shows a beautiful circular pattern that displays important information from your installed apps. Canonical will soon be providing downloadable images of the operating system, which at present, only work on the Galaxy Nexus. As for devices shipping with Ubuntu pre-installed, that is expected to being early next year.